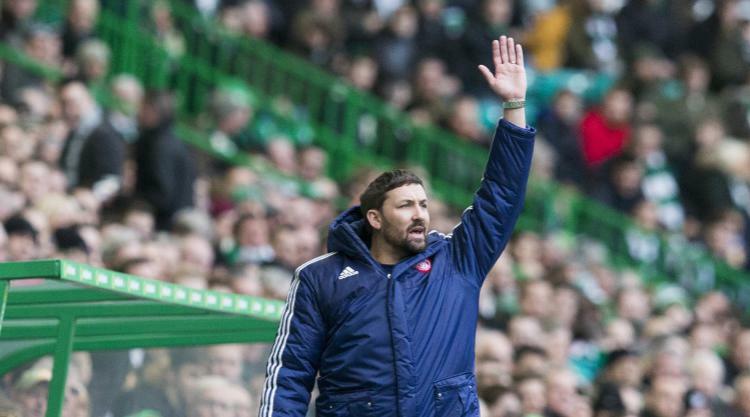 Hamilton manager Martin Canning is hoping for "big time" luck against "unstoppable" Celtic on Friday night. Accies find themselves fourth in the Ladbrokes Premiership with two wins and a draw in their last three matches before the international break. However, Brendan Rodgers' treble-winning side have qualified for the Champions League for the second successive season and have not lost a domestic game since a 2-1 defeat at St Johnstone in May, 2016, albeit they trail Aberdeen by two points after four games. Canning knows fates will have to conspire in their favour if Hamilton are to end that remarkable record at the SuperSeal Stadium. "Obviously it is a difficult game," he told Press Association Sport. "They seem unstoppable at the minute in terms of their domestic form and they have been great in Europe this season. "It is going to be a difficult game but all we can do is look after ourselves, work as hard as we can and put everything into the game. "We beat them at Parkhead a couple of years ago and we rode our luck massively. "Whichever team does bring that run to an end will have to ride their luck big time throughout the game and be clinical when they get their chances and hopefully for us that can be Friday." Canning has mixed feeling about the international break which came as his side were building up a head of steam. "It was a good thing because it gave us the opportunity to get a few niggles and knocks cleared up," said the Accies boss, who is still waiting for a visa for new signing, Argentinian striker Antonio Rojano. "Rakish Bingham and Danny Redmond missed the Kilmarnock game but both of them are fit so it gives us that extra week to get the boys fit. "In terms of performances and the way we were playing, we probably wouldn't have wanted a break but it is up to us to hit the ground running again."